We are proud to present to you this emotional and inspirational guest post from a dear friend of Changing the Face of Beauty, Jacqueline Tompkins. The terms “love, fear, and hope” only scratch the surface of spectrum of emotions I feel for you. I love your smile, your authentic belly-laugh, and the determination and curiosity you show every day. I love your excitement and energy for exploring and learning. I love your welcoming eyes that invite others to strive to be their best and seek happiness. I love the inspiration you allude as a son, brother, grandson, nephew, cousin, friend, and neighbor. I love that you are my reality. I fear you are not understood. I fear you are not accepted. I feel you are not included. I fear you are labeled. I fear you are not challenged. I fear that I will fail you. I hope you are given opportunities to be the best you. I hope you will seek out support from others, and in return, reciprocate this help. I hope you continue your focus and commitment to self-actualization. I hope that one day, you too, will experience and understand the layers of happiness you bring to the world. I hope your dreams come true. I know you will find your voice. I know you will inspire. I know you will change the world by being you! As a parent, I personally want to thank Changing the Face of Beauty (CTFOB) for being a family friend with words and actions that offer acceptance, encouragement, and strength. CTFOB is a pioneer, leading the way for true community change for individuals like my son Deven. 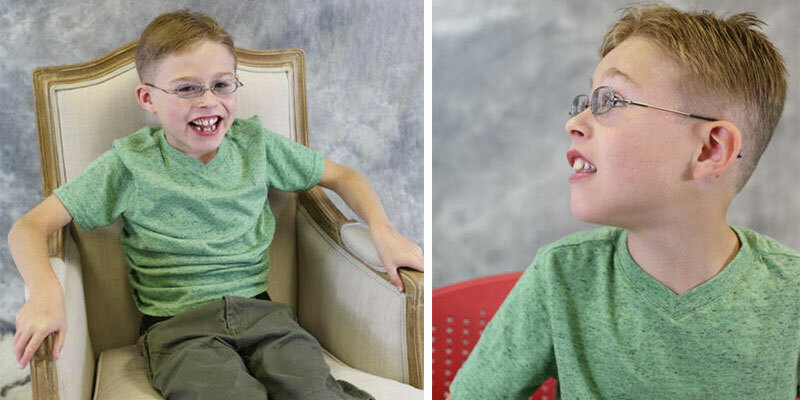 Deven is an incredible boy with the most amazing smile, laughter, and zest for life. Deven’s neurodevelopmental disorder (hypoplasia of the corpus callosum) does not define him; in fact, it enhances his inner and outer beauty. Deven is a gift to the world and I am blessed that he has chosen to love me. It is the vision, mission, and people of CTFOB that further fuels my commitment to share my story. Each day symbolizes a new opportunity for myself and others to focus on disability inclusion practices that help to address issues and barriers to equality and equity. Through information, education, advocacy, and imagery, CTFOB empowers people living with disabilities. It is through connections with numerous partners in varying arenas, including both the media and advertisement industries, that ensures the forward momentum and progress of CTFOB’s work. Thank you for writing this post, it summarizes so many feelings we all share. Deven is lucky to have a mom like you! Beautifully written. Deven truly brings so much joy to all that know him; you can’t help but smile when he smiles. It is partially because his parents (and family) foster happiness not only through their actions, but also their words. Much love to the Tompkins family!